Silver and Pitch | My pictures, my words. I like using film. BIG film. 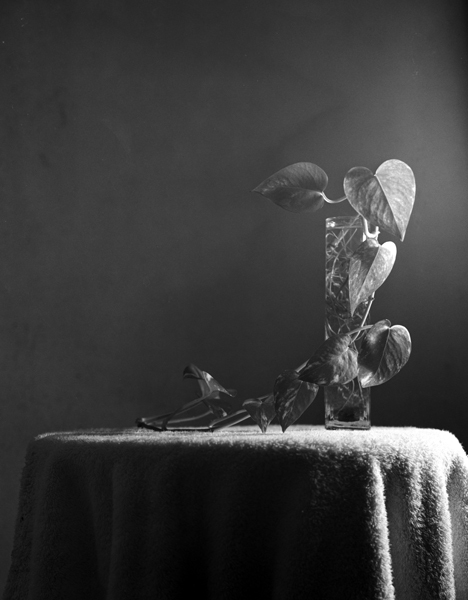 This one is from an 8×10 negative. I don’t need no stinkin’ sensors! Below are some images I made at the 2008 Detroit Jazz Fest. I’ve been shooting at the festival for a few years now, but this time, thanks to the great people behind the scenes at this year’s festival, I had the access that I wished for in the past. The camera, although important, does not make a photograph on its own. A camera is only as good as its lens. The little Yashica I used to own has a really good one. This image was made before I knew what I was doing. I have recently begun to realize that I was a much better photographer when my goal was to make pretty pictures with the aid of a camera and some black and white film. I’d never read an MTF chart, didn’t know what what the big deal was about German glass. I just got some film, introduced some light by way of a simple floor lamp, and made pictures. This was made using my first complete medium format camera outfit, a Pentax 645 with a standard lens. I didn’t know anything about exposure compensation at the time. Had I known, I’d never have gotten the image to look this way. So, here we go again with the Pentax. I remember an episode of Kung Fu (I think so, anyway) where it was said: “I seek to be a cup, empty of myself, to be filled with the oneness of the universe”. Decades later, I finally get it. 17, originally uploaded by silverglyph. This image was created with my first (functioning) medium format camera, a Pentax 645. I had this strange habit of leaving a warm bed, and the woman who shared it with me at the time, in order to prowl the streets in the wee hours just after dawn with a camera. On this particular morning, the water was so calm, it reminded me of glass. I’d never seen the Detroit River so peaceful. 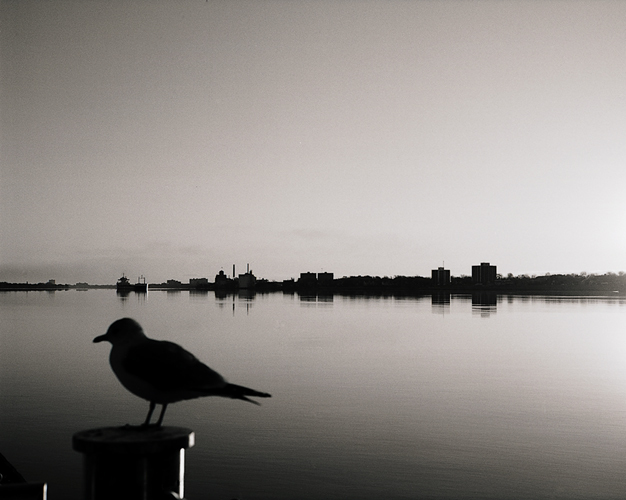 The gull reminds me of myself, venturing out alone in the semi-darkness, enjoying the peace and introspection that solitude sometimes brings.